*Extra charge for blow dry service. *We service natural nails only. 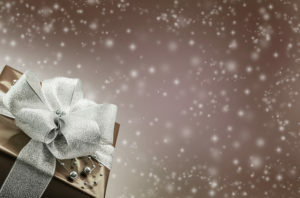 LaBella Gift Certificates & Spa Packages make excellent Gifts! 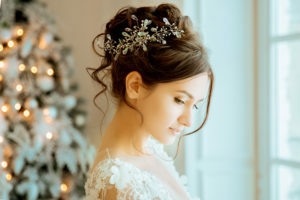 We are happy to accommodate your bridal party for a day of pampering! Please download this form to let us know how we can best serve you. Contact us as soon as you have your wedding date to ensure the best service possible. Make reservations for the entire bridal party to ensure we can accommodate your whole bridal party. Don’t forget the groom and his attendants, who might need a haircut, style, massage, hand treatments, etc. Enjoy being pampered along with your wedding party and remember it is your wedding day and all you have to do is relax and enjoy it! We offer a full lineup of hand-selected, top shelf salon quality hair care and styling products. Thinking Green & Acting Globally. 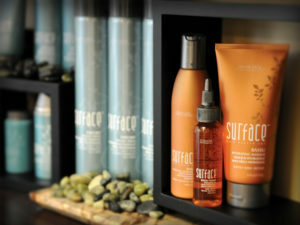 We also carry unique lines of hair care products, called SurfaceTM and Loma. 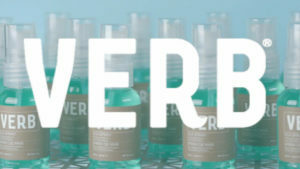 These products are formulated with sustainable harvested ingredients and certified organic botanicals. SurfaceTM and Loma use plant derived aromas, vegan proteins and natural colors. There are no added dyes or animal products. The purity of these products makes them extremely hypo-allergenic. Late arrivals – please keep in mind that arriving late for a service may require us to shorten the length of the treatment, with full charges applied, so as not to inconvenience other guests. We regret that late arrivals will not receive extension of scheduled appointments. When booking within 24 hours, changes or cancellations will be subject to a fee.